Prom Guide Magazine and PromGuide.com want every teen to have a great prom season this year. To help make that happen, Garfield Bowen and the rest of the gang over at Prom Guide have added exciting new prizes for the guys and gals who win their “Cutest Couple” contest in March. Billed as “March Prom Guide Madness,” the newly enhanced contest is already generating more buzz online, so be sure to enter your favorite couple today. A lucky couple wins a great prize every week! Prom Guide has been the nation’s leading authority on all things prom for over 25 years. The Cutest Couple Contest is just the latest in a number of fun and exciting competitions where kids can win cash and free prom gear. Prizes are awarded weekly — and in June, one lucky couple will win the grand prize award of $1,000 for the overall cutest couple, as voted on by visitors to PromGuide.com. The staff at Prom Guide is encouraging teens to enter now to have a chance at that grand prize. If you’re planning to go to prom this year or next, Prom Guide is a great place to start getting ready for the big day. Visit their website at http://www.PromGuide.com, and check out the wide selection of prom dresses, prom tuxedoes, prom limos and prom shoes. You’ll find all the latest prom styles and a number of opportunities to have fun and win prizes. One of them, the “Cutest Couple” contest, is happening right now, and prizes are doubled throughout March. It’s absolute madness. Check it out. 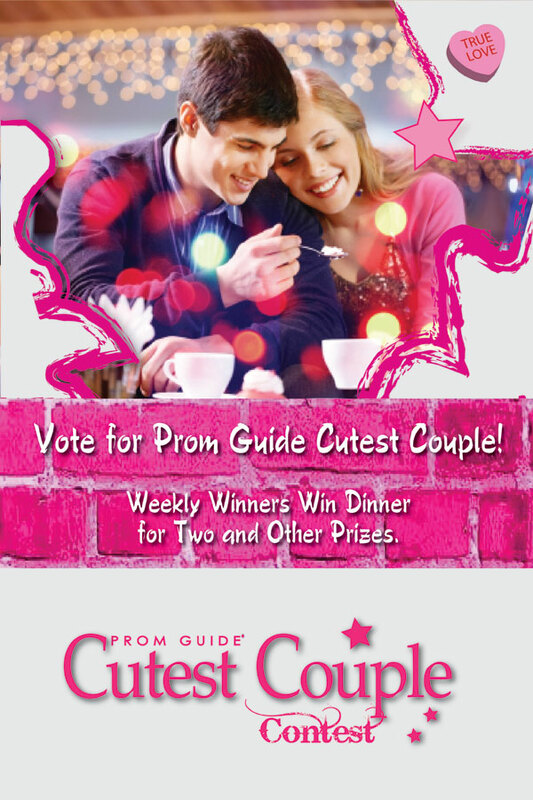 Cutest Couple ContestProm Guide is giving away weekly prizes in their Cutest Couples Contest, with a grand prize of $1000 going out in June. Go to http://www.promguide.com/cutestcouple.aspx to learn more. March Prom Guide MadnessMarch "Cutest Couples" winners will receive Coloriffics prom shoes, in addition to a romantic dinner for two at a great restaurant.